Correctional forensic nurses provide healthcare to people within the confines of the criminal justice system. They usually work in prisons, jails, juvenile detention centers, and other holding facilities housing inmates that require medical care. Registered nurses can advance their careers and play a role in providing healthcare in the criminal justice system with an online Master’s of Science in nursing degree from Duquesne University. The MSN in Forensic Nursing program can prepare students with the knowledge and technical skills necessary to succeed as correctional forensic nurses. Inmates in prisons, jails, and other detention centers must contend with a myriad of health issues including conditions ranging from asthma and diabetes to drug dependence and mental illness. 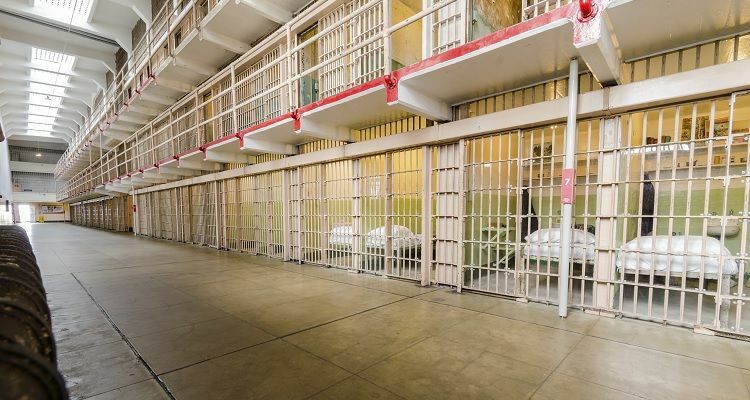 Some health issues can affect the entire inmate population, such as sexual and physical abuse, drug and alcohol abuse, and sexually transmitted diseases. Other issues are specific to incarcerated women, namely gynecological concerns, pregnancy, postpartum depression, and issues regarding menopause. Although women make up only about 7 percent of the population of inmates in U.S. correctional institutions, they have a higher burden of health issues when compared to incarcerated men or women outside of the criminal justice system. Despite continued growth in the number of incarcerated women and their gender-specific health needs, correctional institutions are frequently unable to provide high-quality healthcare to women in their custody. Many jails and prisons lack nursing staff trained in obstetrics and gynecology. As a result, proper medical exams for women are rarely performed. Women in the correctional system are at higher risk for breast and ovarian cancer, as well as other health concerns, because of misread results such as abnormal Pap smears. One issue that affects incarcerated women at a considerably higher rate than their male counterparts is sexual assault and abuse. Female inmates are the victims of 46 percent of sexual assaults in prison, despite comprising only seven percent of the total incarcerated population in the U.S. The problem often receives inadequate attention or is unaddressed in correctional facilities because of a shortage of qualified nurses to deal with it. Kathleen Sekula, Ph.D., a Duquesne University School of Nursing professor honored for her pioneering work in forensic nursing, saw a solution to this problem and presented it by offering the SANE-A (Sexual Assault Nurse Examiner – Adult) program online to nurses who are unable to complete the one-week training in person. Duquesne’s online SANE-A training is at the forefront in preparing nurses to serve the needs of victims of sexual assault throughout the country, particularly in rural and underserved areas. Sekula was inducted as a fellow of the American Academy of Nursing (AAN) in 2011 for her work in the field of forensics and psychiatry. She credited her fellow nurses for the recognition. Screening new inmates for immediate medical and health needs such as suicide potential, alcohol or drug withdrawal, infectious diseases, trauma, and chronic medications. Managing the routine healthcare of inmates with pre-existing and acute medical conditions such as hypertension, diabetes, asthma, seizure disorders, arthritis, pregnancy conditions, flu, and HIV/AIDS. Administering medications through a medication pass or pill line process. Providing over-the-counter medications for sick call, where inmates request treatment for simple conditions such as the common cold, constipation, or athlete’s foot. Handling injuries such as stabbings and broken bones. Accompanying inmates to outside medical facilities for additional treatment. Running hospice units in some facilities. Correctional nurses should be generalists, Muse said, but they should also be ready to cross over into specialties since they don’t know how their patients are going to present. For example, correctional nurses should be prepared to jump from oncology to mental health at any given moment. In addition, correctional nurses should also be flexible and able to maintain good working relationships with administrators and correctional officers. Correctional nurses can earn between $43,000 and $66,000 annually with an average salary of $51,000, according to PayScale.com. The average rate for a correctional nurse is $24 per hour. Correctional nursing is a profession that will be necessary as long as prisons, jails, and detention centers continue to exist. Aspiring correctional nurses should have little trouble finding positions because their services are in high demand across the country. Employers will be looking for nurses with an understanding of forensic science and the legal system, theory and practice for forensic nurses, criminal law and the courts, program development, leadershipand policy, and forensic clinical practices. The Duquesne University School of Nursing is top ranked in U.S. News and World Report’s 2017 Best Online Graduate Nursing Programs. The Forensic Nursing MSN program provides aspiring forensic nurses with the knowledge that they will need to provide health care services within the criminal justice system. For more information, visit Duquesne University’s MSN program website.